According to the DEA, “The opium poppy is the key source for many narcotics, including morphine, codeine, and heroin.” Some drugs, like opium, are natural and come straight from the plant while others are synthesized either from opium itself or act like opiate drugs. But opium is still an extremely addictive, dangerous substance that causes issues for those who abuse it. The abuse of opium is still as problematic as it always has been, and those who use the drug in some instances believe that it is safer because it is natural. Because opium itself can still cause addiction in those who abuse it, making sure that you understand the symptoms of this illness can help you protect yourself or your loved ones from it. Here are the top 5 common opium addiction symptoms. Tolerance is one of the strongest signs of drug addiction, and in that case, opium is no exception. While tolerance can occur when someone is taking drugs legally and by the suggestion of their doctor, opium itself is not prescribed to treat pain anymore because there are now other medications that can be used to do so. Tolerance for opium will usually only occur if a person is already abusing the drug. When a person becomes tolerant to opium, it means that they will need higher doses of the drug each time they abuse it in order to feel its effects. The issue can not only go hand-in-hand with addiction but also cause overdose, illness, and legal problems if the person continues to seek more of the drug recreationally and gets caught. In addition, many users participate in certain behaviors as a result of tolerance that only make addiction more likely. Many people abuse opium “in combination with other drugs. For example, ‘Black’ is a combination of marijuana, opium, and methamphetamine, and ‘Buddha is potent marijuana spiked with opium.” People might take opium with other drugs in order to bolster its effects, leading them to the possibility of polydrug addiction. Users will take higher and higher doses of the drug, putting themselves in danger of overdose each time they smoke or use opium. Some users might even switch to heroin which is a much more intense drug that can also cause many physical issues as well as addiction. This could also cause severe weight loss and malnourishment. You will not be concerned with your wellbeing if you become addicted to opium because the drug and the feelings it cause you will be the only thing you’ll care about. This type of behavior is also a sign of depression as well, which often goes along with opium addiction. In addition, addiction and drug abuse can put you in a bad state physically; opium causes vomiting, constipation, an extremely dry mouth and nose, and other issues. Withdrawal symptoms of opium addiction include anxiety and agitation. Because of this issue, a person will continue taking opium even if they do not feel the same effects anymore in order to avoid these symptoms. Someone who has been abusing opium for a few months regularly (every day or in high doses) and experiences withdrawal symptoms is likely to be addicted. And choosing to stay on the drug instead of seeking help makes their addiction even more clear. 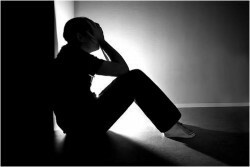 If a person isn’t abusing a drug and they become tolerant and dependent on it, they will still not experience cravings. This is why, if you do, you should assume that you are already addicted to opium. When you are not on the drug, you might feel anxious, upset, and extremely strong cravings for opium. The cravings may even cause you to do something reckless in order to obtain or take more opium. Cravings make it hard to think about what you really need, and they will absolutely make it hard to stop. Once you start to experience them, you are already addicted to opium, and it will take a long time before you stop feeling these cravings every day. In some cases, certain individuals even relapse after being off the drug for years because of their cravings (NCBI). When you begin to feel that you might be losing control of your opium use, you usually already have. Most individuals feel that opium is a drug they can regulate their use of, which might be true at first, but eventually, if you take opium in high doses every day, you will start to feel compelled to continue, like it is not in your power to stop. That is the strongest symptom of opium addiction there is. Many users experience problems in their lives––from family issues to relationship breakups to being fired from their jobs or arrested––all because of their use of opium. These individuals often realize how bad opium is for them and how many times it has caused some problem in their lives. Despite this knowledge, they cannot stop. They are unable to control and regulate their use of the drug, which is the issue at the core of addiction and which is why addicts need to seek treatment because, at this point, quitting on their own may not be an option.